Lavender is a favorite for many people because of its lovely smell. According to a scent survey conducted by “Susan's Soaps,” lavender came in number one as the favorite body care product scent. In fact, I'm willing to bet you have some product in your house right now that has a lavender scent to it! Lavender is good for so much more than creating a nice smell, though. Overall, lavender offers a soothing, calming presence not only in your home, but on your skin. It not only looks beautiful and smells beautiful, it helps soothe and calm. Lavender (Lavendula) is actually the name of a genus that includes 39 species of flowering plants in the mint family. It grows to about one to three feet high with leaves covered in fine hairs that contain the essential oils. Flowers are held on spikes that rise above the foliage, and may be blue, violet, or lilac. The most common species that we use today is the Lavendula agustifolia, which are planted in gardens worldwide and occasionally grow wild, particularly in areas of Australia. The plant lives best in dry, well-drained sandy or gravelly soils in full sun. Lavender has a myriad of uses in cooking, health, and around the home. Its lovely scent actually is not so lovely to insects, so it's used to repel insects around homes and to mask the scent of foul smells in streets and households. It is perfect in potpourri, herb pillows and sachets, and helps to ward off moths in closets. 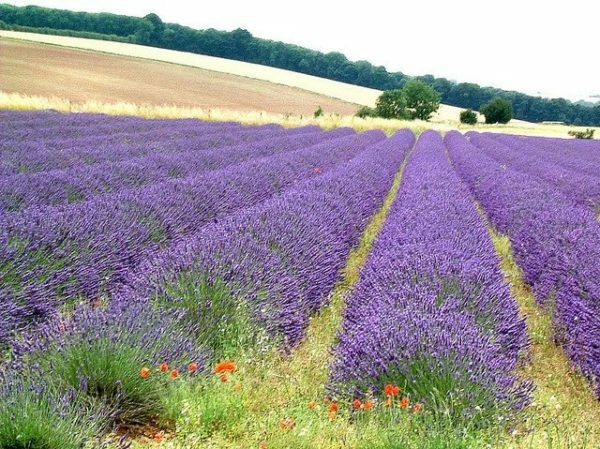 Lavender is widely used in aromatherapy, both on its own and in blends with cedarwood, pine, clary sage, geranium and nutmeg. It helps soothe occasional stress and encourage rest and relaxation. In cooking, lavender can be used to make different types of desserts and other sweet things like jellies, lemonade, crème brulee, ice cream, and cookies. It also works well in salad dressings and as a seasoning for poultry. Lavender is recommended for use in cleansers and in lotions for oily skin and is a good all-around skin protector and soother. Lavender also has excellent antioxidant activity, suggesting that it may help protect the skin from environmental stressors. Have you tried lavender in your home? Share your tips for how best to use it. Photo courtesy Billy Reed via Flickr.com. University of Maryland Medical Center, “Lavender,” http://www.umm.edu/altmed/articles/lavender-000260.htm. Robert Tisserand, “Lavender Oil—Skin Savior or Skin Irritatnt?” Personal Care Truth or Scare, September 1, 2011, http://personalcaretruth.com/2011/09/lavender-oil-skin-savior-or-skin-irritant/.